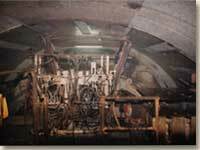 Split Set® stabilizers have solved many problems for contractors in construction and in maintaining railway and road tunnels, hydropower tunnels, powerhouse and storage caverns, shafts, water and sewage tunnels, and others. Ground Support for Surface Jobs Split Sets are being used more often for above ground applications or anywhere reliable ground stabilization is needed. 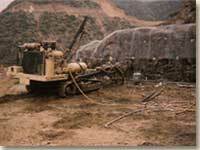 Open-pit mine and quarry operators use them to stabilize high walls for the most effective mine and ground support. Open-pit miners find that using Split Set® stabilizers with mesh can permit a steeper mining angle, reducing overburden removal. Contractors find Split Set® friction rock stabilizers ideal for attaching screen to control spalling cuts. 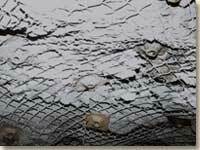 Construction contractors use them with mesh to tie back the ground and contain rock falls on steep highway cuts, as well as in building excavations. Contact us for examples of applications where the Split Set® friction rock stabilizers utilized in mining and ground support have also solved problems for contractors working on tunnels, sewers, reservoirs, quarries and other rock and mine support areas.